Yigang Team is the best, we will visit again. Lights are wonderful in SA, thank you. Fast delivery time , good after-sales service! Light control, Body sensor,Time control, Mobile phone APP and other functions. 1.Light control: light control is when it is dark the lights will automatic turn on and dawn automatically turn off the lights. Theory: Dawn, when the sun light intensity is greater than 100cd, the solar panels began to photoelectric conversion, while the battery charge. In the evening, when the sun light intensity is less than 100cd, lights will be automatically turn on. 2.Body sensor: the human body sensor means that when the lights on, people passing from lights ,the lamp sensor parts can be sensed, so the brightness of the lamp will become strong, and can last 20-30 seconds, people leave the lights, the brightness of the lamp becomes weak. 3.Time control: control the lighting mode at different time, control lighting time and light off time. 4.Work mode: the general situation is: before midnight, when people through the lights ,it is 100% power;no people pass through,the light is 50% power. 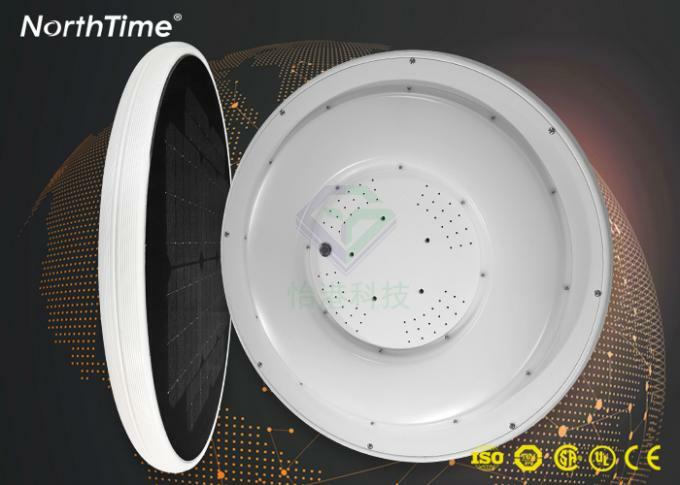 After midnight, when the people pass through the lights, it is 60% ;No one pass, the lamp is 30% power (we can produce according to customer requirements). 1. All in one design, with solar panel, battery, LED and controllers integrated into one unit. 2. Very easy to install, maintanance free with bracket installing kit to be installed on wall or any existing pole. 3. Solar panel can be adjustable by end user to fit different geography locations. 4. Lithium battery inside with good cost performance, compact design. 5. Specification can be customized according to client's requirements. their long term and stable performances within lifetime. We will give some choices for the warranty: you can choose 1/2/3/4/5 years warranty as your wish. For samples,we can ship by Express like DHL UPS EMS and so on . For the big order,we will ship by sea to your wanted seaport. 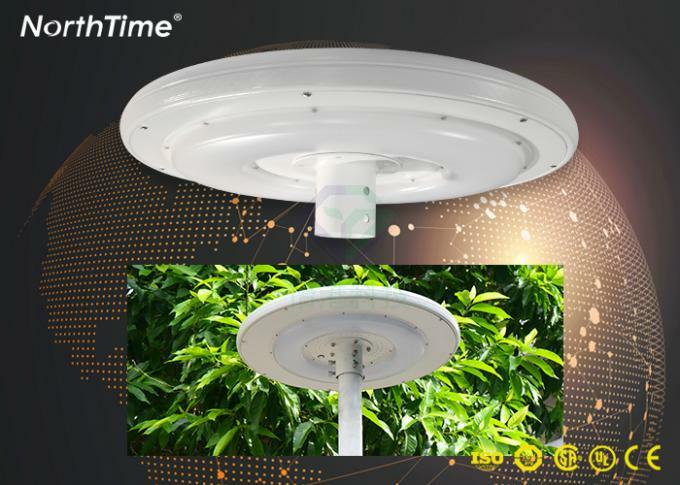 For the all in one solar street lamp lighting,you can make the led color temperature warm white,cool white,yellow,green,color changeable and so on. About 3 to 7 nights, with energy saving mode to prolong backup rainy days. About 5 to 8 years. Our standard warranty is 5 years. 4. 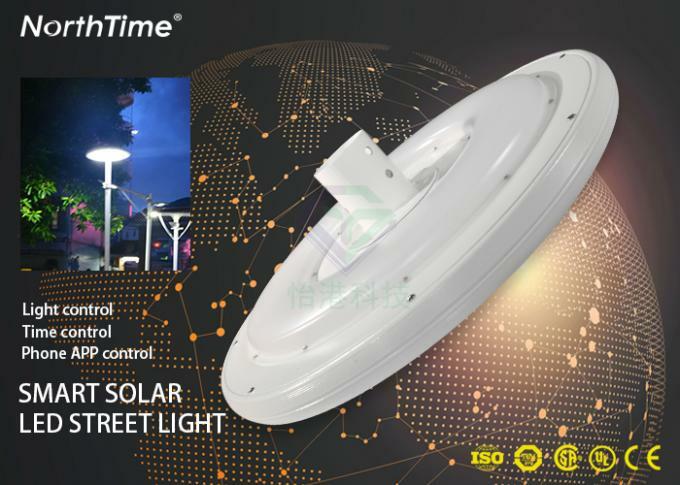 What is your minimum quantity for solar street light price, can you send me sample? 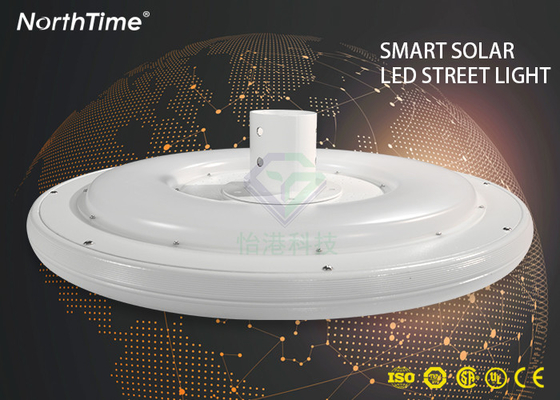 Polar Lighting will always regard the quality for solar LED street light as the most important thing. 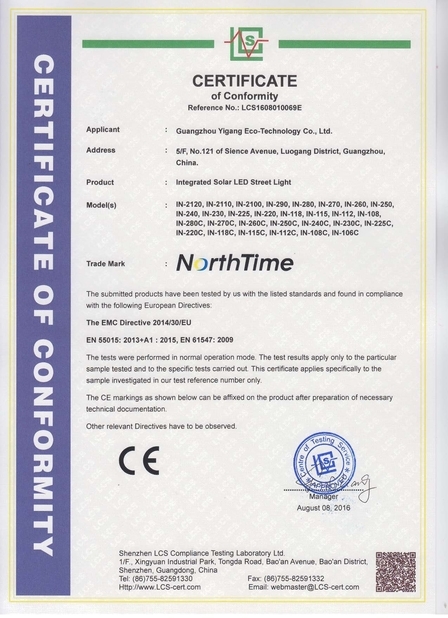 As a supplier with ISO9001 ISO14001, TUV, CE, ROHS certificate, our solar street light price will go through around 30 tests before being sent. 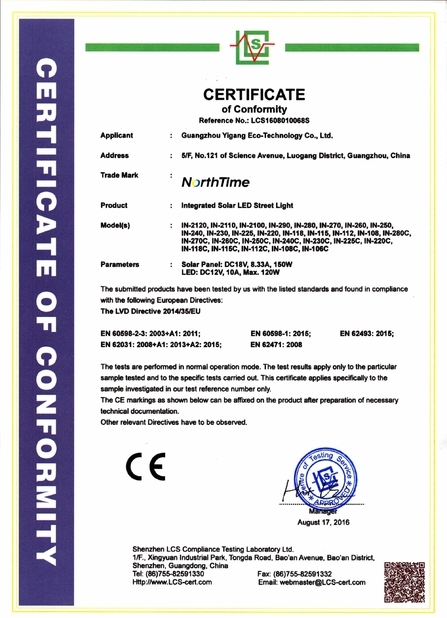 Guangzhou Yigang Eco - Technology Co., Ltd.
China Good Quality LED Solar Street Lights Supplier. Copyright © 2017 - 2019 led-solarstreetlights.com. All Rights Reserved.